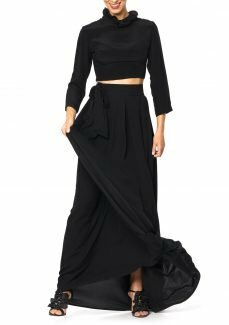 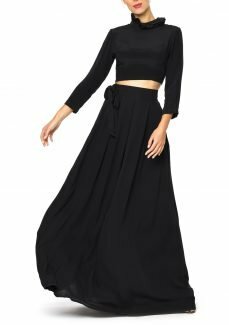 This thick silk cropped evening top is the ultimate separate for all your high waisted garments. 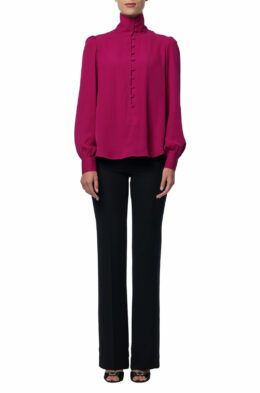 The style is short and cropped, and features a zipper at the back and waist to create a slim fit. 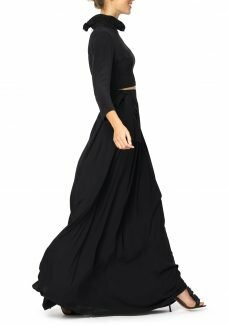 The sleeves are narrow give a very slender silhouette.